Despite decades of futility, studios keep trying to level-up with video game titles. 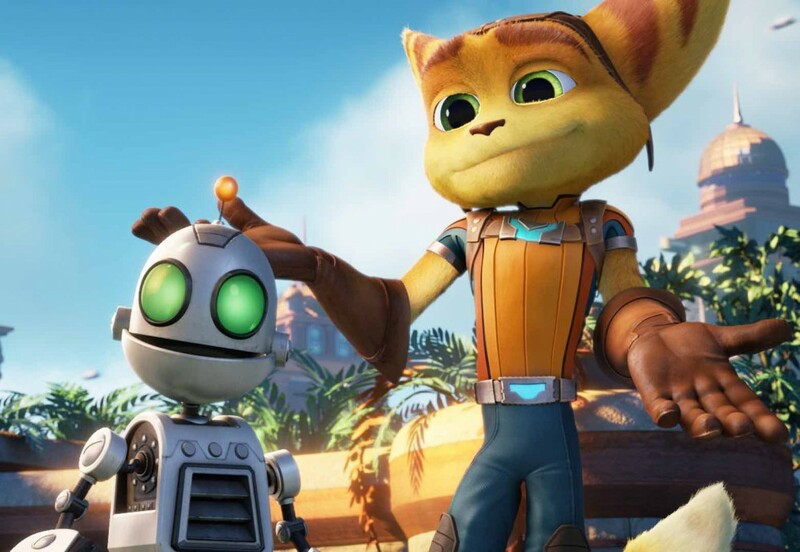 April 29 sees the premiere of the animated feature “Ratchet and Clank,” a full-length feature based upon the Sony video game franchise of the same name. Originally launched nearly 15 years ago, there have been numerous versions and even some spinoffs, but no new titles since 2013. In an unusual move, Sony is releasing a “reimagining” of the game series in conjunction with the film. One thing that makes “R&C” unique is being an animated game converted for theaters (unless one considers the Pokémon titles VG adaptations), since the games were fully animated. One other detail could set the title apart from its predecessors: becoming a successful film. One common critique among gamers is how distracting intercut dramatic scenes become within the gameplay. Programmers striving to immerse gamers in a universe deliver scenes of growing length, with characters delivering expository elements while trigger-happy players impatiently tap a foot the way their digits tap the “fire” button. While programmers using cinematic techniques have found a successful blueprint, studios have struggled for some time to get similar results. These theatrical interludes are not likely to ebb soon. In adopting these cinematic elements the industry has seen financial returns that approach—and frequently eclipse—Hollywood blockbuster totals. Major gaming titles have been known to gross hundreds of millions of dollars. Game producers are unlikely to be otherwise inspired once they have hit upon a formula for success. Clearly, adapting these elements seems to only flow in one direction. While programmers using cinematic techniques have found a successful blueprint, studios have struggled for some time to get similar results. In truth, when Hollywood taps these titles as source material for motion pictures, the results have been so uniformly bad they should generate an anticlimactic sound effect. Studios have tried for decades to hit box-office gold coins, releasing nearly three dozen such titles over that time. Grand in scope, flush with action, laden with CGI and special effects, with many even blessed with star talent—despite all of those attempts, the number of video-game titles that have grossed more than $100 million is one. That is all. That lone “success” was “Lara Croft: Tomb Raider,” all the way back in 2001. (It generated a sequel, which earned less than half of the returns.) To further illustrate how weak the field is in this sub-genre, last summer everyone ignored “Hitman: Agent 47,” yet the paltry $22 million in ticket sales still put it in the top 20 all-time VG titles. The number of video-game titles that have grossed more than $100 million is one. Explaining nearly a quarter of a century of routine failure to that lone issue would be facile, however. Over that time you would think some intrepid producer would be able to override that challenge. The reasons for this recidivist failure are more layered, and studios have not unlocked the tools needed to produce a decent game conversion. Time has shown at least three interconnected reasons why video game adaptations cannot draw an audience: Gamers don’t want to watch games, they want to play them; although using storylines is common, gaming titles do not follow cinematic story constructs; and writing for game fans and non-game fans often conflicts. While games use some cinematic story elements, they do not have to adhere to traditional narrative rules. The first is borne out of the numbers. The two top-grossing VG movies—“Tomb Raider” and “Prince of Persia”—were major, studio-backed productions, with known stars and large budgets. They laid the carpet for players to come see their characters brought to life, but gamers remained on their couches. The lone legitimate franchise in this category is the “Resident Evil” films, but they thrive based on lowered success thresholds. None of those titles in the series has performed better than $60 million. The second problem leads to the translation problem facing a screenwriter. While games use some cinematic story elements, they do not have to adhere to traditional narrative rules. When a game needs to place a player into a particular setting, or even a different era, they just level-up; they do not need to “get” there. A script demands more explanation and verified actions, and the writers have to supply that rationale. A game only needs a scenario, and the player is then placed therein. Logic and plot holes are glossed over once a player is coming under gunfire. Just take a look at the synopsis for the original “Resident Evil”: In Raccoon City, a company known as The Umbrella Corporation owns a laboratory called The Hive, where a T-virus has been released and The Red Queen computer seals the building and kills the occupants to stop an outbreak. In a game, you can grab a gun and create mayhem. For a movie, however, it will take 90 minutes just to unravel that convoluted mess of a premise. In the very similar “Doom,” the action takes place in a sprawling laboratory on Mars, and mercenaries are sent in to contain the problem. Of course, getting there is an issue for film, so it deposits a portal in the Nevada desert to whisk the mercenaries to the Red Planet. Of course, this undermines the entire film. Instead of spending time fighting the behemoth creatures, the fighters could just usher the survivors through the portal and seal things off. Of course, as a result, you would not have a movie. You need to draw in the casual moviegoer with a cinematic experience, and you are required to supply fan-service elements to appease the gamers. A script for a gaming adaptation also has to appeal to two audiences. You need to draw in the casual moviegoer with a cinematic experience, and you are required to supply fan-service elements to appease the gamers. This results in a fractured plotline taking liberties with the gaming story while inserting random scenes and characters to fulfill obligatory standards. The “Silent Hill” films suffered this way. Impressive visuals gave way to muddled plots as scenes used to flesh out the film distanced gamers, while notable elements from the game were randomly inserted, only to then be abandoned, confusing casual viewers. The end result was repelling people on both sides. The most glaring example of this scripting conflict was probably from the first (and possibly worst): “Super Mario Brothers.” This was released in 1993 and was such a magnificent bomb that it is regarded as a classic only in the bad-film universe. Making a feature film based on a scrolling action game that lacked dialogue was a challenge. The result was a miasma of opulent sets with bizarre sequences, and occasional cameo appearances of characters to check off the list. The effect for most viewers was thus “Huh? Where ARE they? And what in the HELL just happened? Oh look, it’s Bob-Bomb!” It was such a remarkable disaster, it is a small wonder any more gaming titles were adapted. This dismal history is certainly the reason the film “Ratchet and Clank” is meeting bet-hedging. Although classified as a wide release, it is debuting on a more modest amount of screens—just more than 2,000. Also notable is that while the game is an original property of Sony, for its PlayStation gaming console, Sony Pictures is not directly involved with producing or distribution. The title is released through Gramercy Pictures, and was created by the smaller animation outfit Rainmaker Entertainment, largely known for creating a bevy of Barbie CGI adventures released on DVD. The gaming conglomerate seems to be shielding itself, leery of ushering its own property into theaters. That kind of caution is justifiable.